The ox roast is being prepared for hungry Carnival attendees. 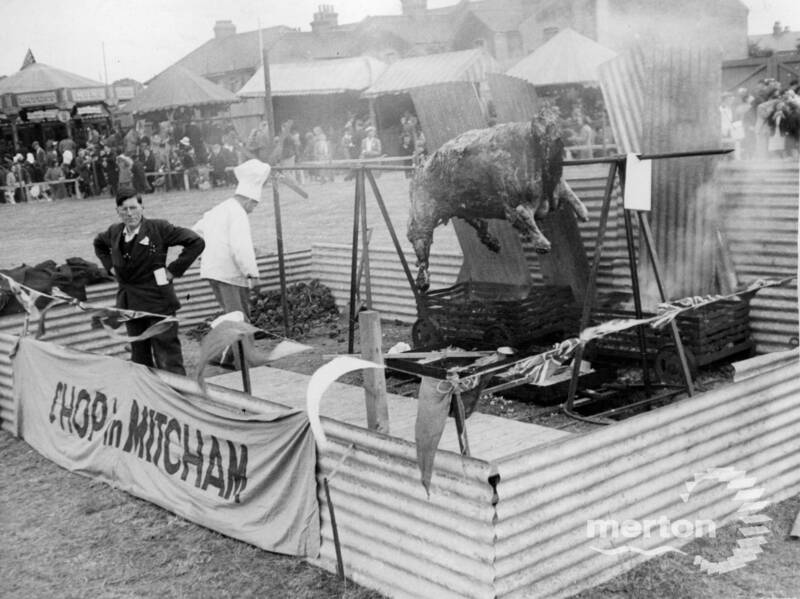 The Wilson Hospital Carnival and the Mitcham Carnival were one and the same throughout the 1930s, as all proceeds of the Mitcham Carnival went to Wilson Hospital. 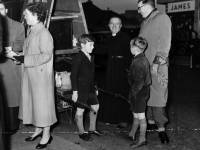 The 1939 event was attended by 25,000 people, and included the ox roast, fancy dress, dancing, Wilson Hospital staff races, a motorcycle display, and a torchlight procession.